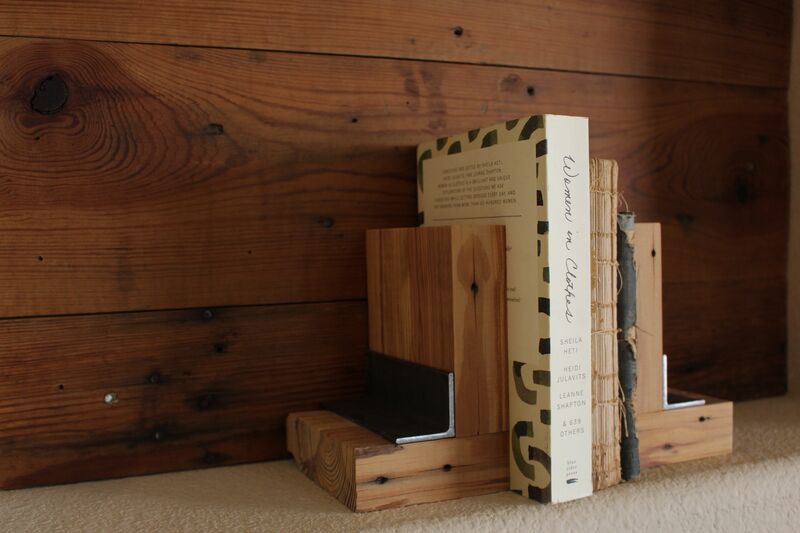 The purpose of using reclaimed wood is to be resourceful and give the material another chance at being used again. So why would there be any discarded reclaimed wood after projects are completed that not every piece is used? 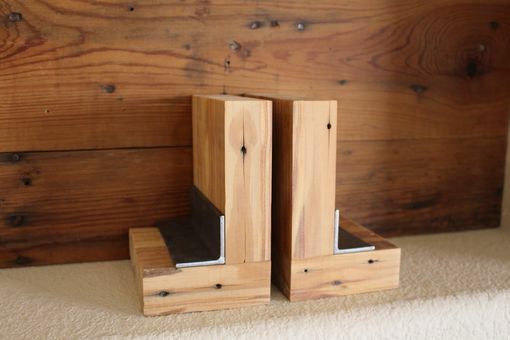 These bookends truly are reclaimed and reused from wood that isn't used up on other projects. 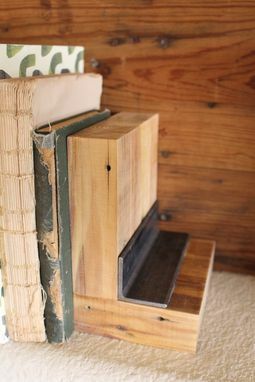 The angle iron adds weight and an industrial touch, keeping your books standing while looking good doing so.